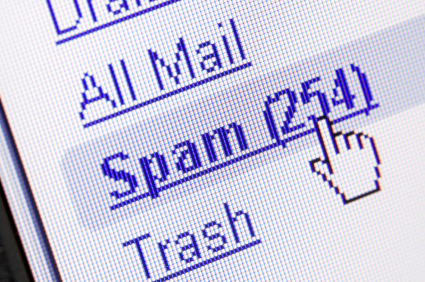 More than 95 percent of emails targeted at Irish email account users contained spam, according to experts. The majority of spam messages were advertising bogus medications. Email specialists IE performed the research which found that the U.S. was the primary source of spam emails. “For every five clean emails that are delivered to users’ inboxes, we are dumping 95 Spam emails,” IE CEO Phelim O’Connell said. “The sheer volume of spammers now selling fake medicine indicates that spammers believe people will buy these products. “We believe it follows a real trend where the numbers of people purchasing online pharmaceuticals is increasing at a rapid rate,” added Mr O’Connell.